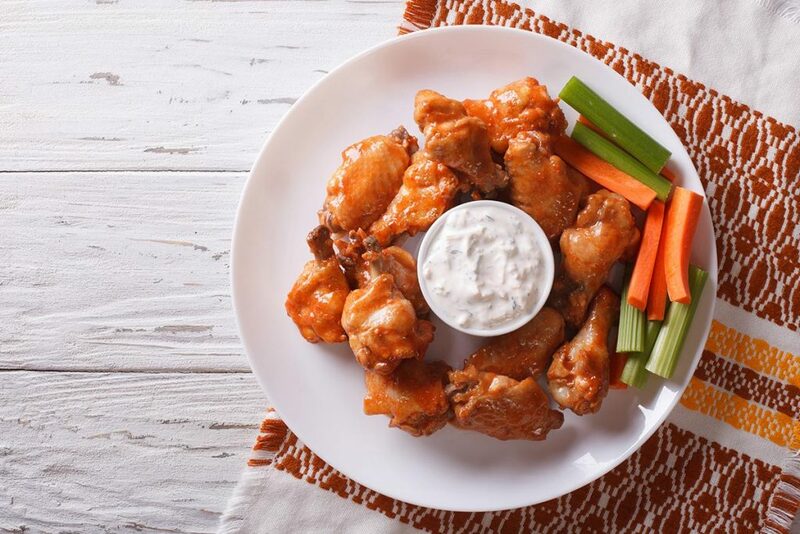 Buffalo wings with blue cheese dip and celery may not come to mind when you think of ketogenic diet weight loss but this delicious indulgence fits perfectly. It’s low in carbs, has good protein and is high in fat which will keep your body in the metabolic state of ketosis. The baked wings are crispy and spicy, the blue cheese dip is rich and does a great job at calming the cayenne fueled heat while the celery is there for added crunch and nutrients. 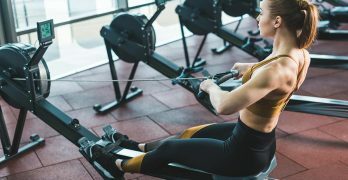 This is one of those easy keto recipes for beginners. All you have to do is bake up some chicken wings, stir the dip ingredients together, cut the celery and you are done! Cut the celery into sticks. Add the blue cheese dip ingredients to a bowl. Cover with plastic and place in the refrigerator to chill until the wings are done. Rinse the chicken wings and pat dry. Place the wings into a bowl. Season with salt and black pepper. Place the wings onto the prepared baking sheet in an even layer. Bake for 45 minutes or until golden brown. Flip halfway through bake time. Add the hot sauce, paprika, and cayenne. Taste and adjust the amounts of both spices if needed. Toss the wings in the sauce. Serve with the dressing and celery sticks.